The leader of a fledgling women’s militia in northern Afghanistan says dozens of volunteers have joined the fight since a handful of women recently took up arms to rebuff a Taliban attack on their community. Women in the district of Darz-Aab, in Jowzjan Province, initially fought alongside local forces to prevent the antigovernment militants from overrunning the village of Shahtoot in late October. Their ranks have since grown to as many as 45 women, locals say, many of whom have sold livestock to buy guns. Fifty-three-year-old Zarmina, the wife of a local police officer who so far commands the female fighters, said she and the other women had no other choice. “I had 21 bullets and killed seven Taliban,” she claimed. The force comprises mainly ethnic Uzbeks and Aimaqs, a Persian-speaking minority in Jowzjan, a multiethnic province that borders Turkmenistan to the north. 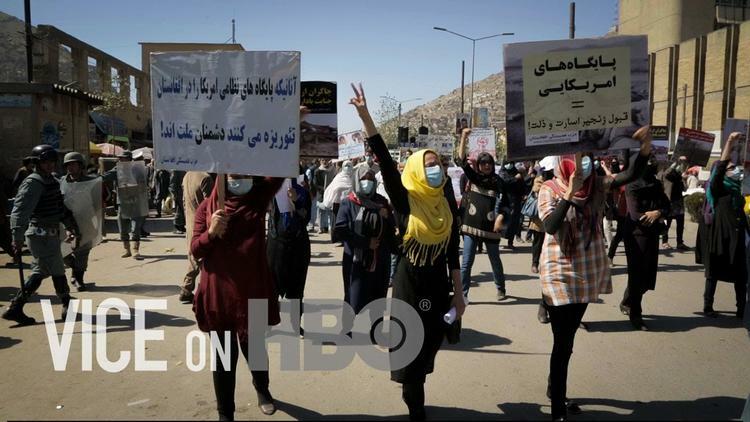 Darz-Aab Governor Ramatullah Hashar said local officials, tribal elders, and villagers threw a ceremony in a show of support for the women’s initiative. Halimah Sadaf, a member of the provincial council, told RFE/RL that some of the all-female militia members in Shahtoot are among the 51 women in the area who fought against Soviet troops in the 1980s. Local officials have urged the government to supply the female fighters with weapons and other equipment. But more importantly, they said, the local police force needs reinforcement. Security in the Darz-Aab district has been worsening in recent months, with the Taliban stepping up attacks on Afghan national forces across the country. The Darz-Aab governor said last month that fighters affiliated with the militant group Islamist State (IS), which controls swaths of Syria and Iraq and claims to be creating a global caliphate, had also increased operations in that district and had captured several villages. Afghan First Vice President Abdul Rashid Dostum, who is currently leading the military campaign against the Taliban in northern Afghanistan, warned that IS is planning to bring 7,000 fighters to the country’s north. This report was prepared by Alim Rahmanyar, translated by Safiullah Stanikzai, and written by Antoine Blua.